Put the individual teabags on each jar. 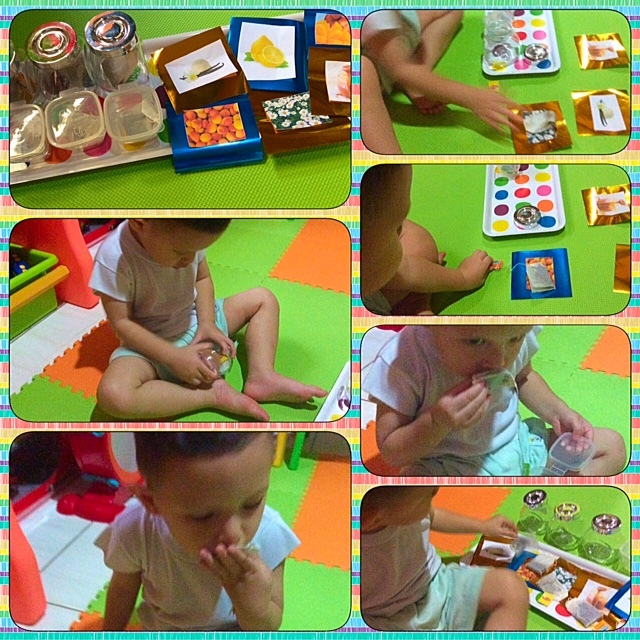 Ask your child to smell each scent and after that encourage them to find the matching scent from the correct picture. Improve their memories and their language communication skill. To strengthen their fine motor skill when they open and close the lid on a jar.